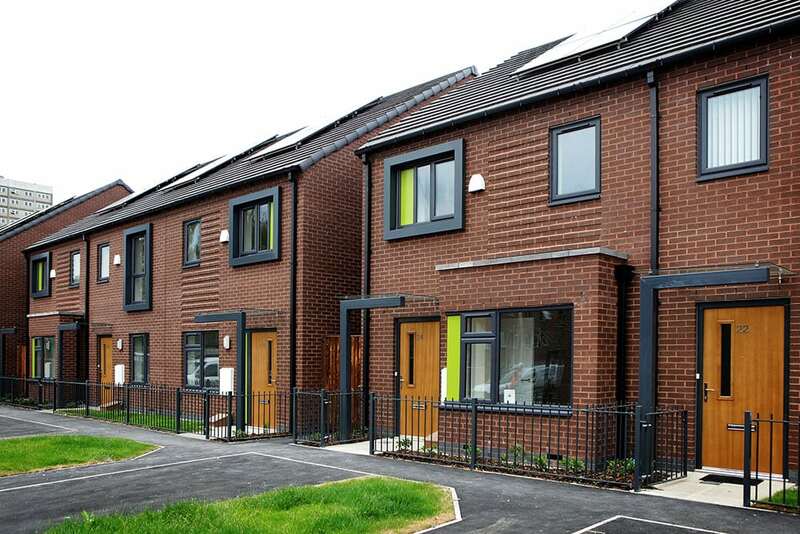 We are currently undertaking electrical and solar installation works across the 293 new build homes in Pendleton, Manchester. The project is a great success so far, with Solargen already having been awarded the ‘Contractor of the Month’ award, and our Site Manager Matt Holmes winning ‘Employee of the Month’. In addition to this recognition of our outstanding work ethic, we are also currently exceeding targets in relation to employment of young learner, with double the required number of apprentices currently working on site and gaining valuable skills and experience. We are currently working under a main client alongside a whole host of other trades to build a large development of brand new flats and houses, providing new homes to hundreds of local residents. Solargen are undertaking all electrical installation works as well as the installation of solar photovoltaic systems on the roofs of the properties, to provide renewable energy for generations to come.